Implementation of TRAXXALL provides Jet Linx with real-time access to data and interoperability with FOS, CASS and other systems. Montreal, October 2, 2018 — TRAXXALL, providers of an innovative aircraft maintenance tracking and inventory management system, today announces its new client, Jet Linx. 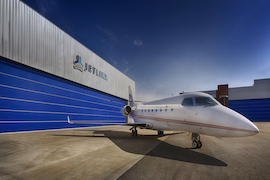 Jet Linx is the third largest business aircraft operator in the country. The company is locally-focused and committed to delivering highly-personalized service. It offers a Jet Card program – guaranteed aircraft availability at fixed hourly rates, and an Aircraft Management program – oversight of all aircraft ownership responsibilities, including pilots, training, maintenance, fuel programs, hangar operations, FAA compliance and insurance. Last year, the Jet Linx team began reevaluating its aircraft maintenance tracking needs. After thorough review, Jet Linx decided to migrate its fleet of aircraft to TRAXXALL in a process that was completed in July. Today, Jet Linx is using TRAXXALL’s maintenance tracking and inventory management modules across all locations. According to Walker, the benefit of real-time data transfer was one of the major reasons for adopting TRAXXALL. It is now integrated with Jet Linx’s Rockwell Collins Flight Operating System (FOS), continuing analysis and surveillance system (CASS) and other systems. Furthermore, even more advanced CASS integration work is underway. The result is a much more powerful, comprehensive and accurate flow of detailed data that provides 360-degree visibility onto all maintenance-related activities. TRAXXALL delivers the most innovative aircraft maintenance tracking and inventory management system on the market today. Founded by established maintenance tracking experts, TRAXXALL is headquartered in Montreal, Canada, with offices in Jacksonville, FL and London, UK. For more information, please visit www.traxxall.com. To schedule an interview with TRAXXALL (NBAA-BACE booth # 3613), please contact Mark Lowe, PRagmatic Communications, mark.lowe@pragcom.com, (514) 576-2519. 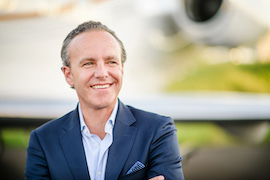 To schedule an interview with Jet Linx (NBAA-BACE booth #4114), please contact Blake Breitman, EVINS Communications, blake.breitman@evins.com, (212) 377-3588.